There doesn't seem to be any rhyme or reason to which carriers release updates for their Android updates first, and once you stray outside of the shallow waters of flagship smartphones, things start to get really inconsistent. For example, AT&T is updating its carrier-specific version of the Samsung Galaxy Tab 4 8.0 to 5.1.1 today, at least according to this support page. But at the same time, Sprint's Galaxy Tab 4 7.0 is only just now getting upgraded from Android 4.4 to 5.0. Marshmallow is around the corner, but you know the routine by now. Updates take a while to roll out to some devices. 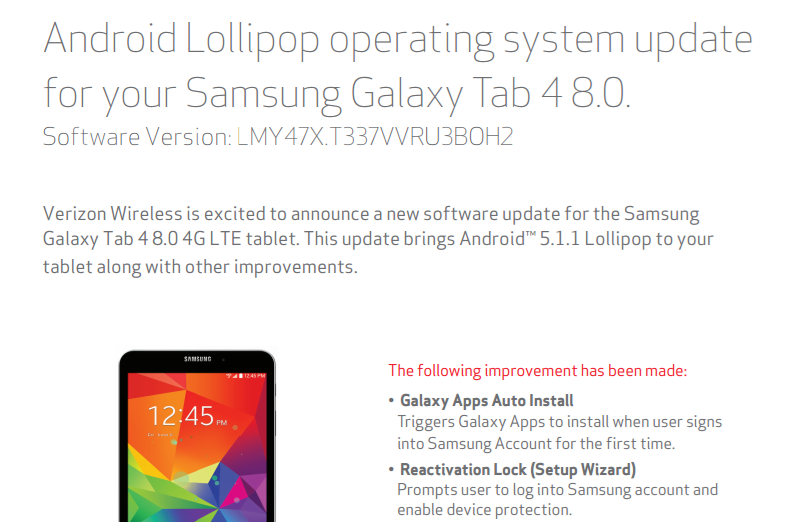 Right now Verizon Wireless is pushing Lollipop to the Galaxy Tab 4 8.0 and Note Pro 12.2. 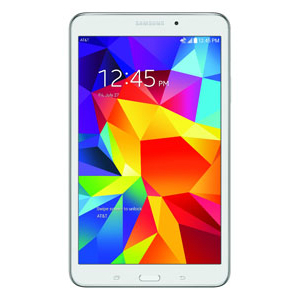 Starting today, AT&T will offer the Galaxy Tab 4 8.0 online for $269.99 with a two-year contract. Alternatively, customers can skip the annual contract and pay $369.99 upfront or add $18.50 to their bill for twenty months instead. Either contract-free price matches what T-Mobile is selling the device for, but both still cost $100 more than the Wi-Fi only model. The LTE version of the Galaxy Tab 4 8.0 is powered by a 1.2 GHz Qualcomm Snapdragon 400 processor, 1.5GB of RAM, and a 4450mAh battery. The 16GB of internal memory combined with a microSD card is certainly usable, and the 3MP rear-facing camera isn't all that big a deal considering that tablets typically don't serve as a person's primary way of snapping shot, but the display is pretty disappointing.